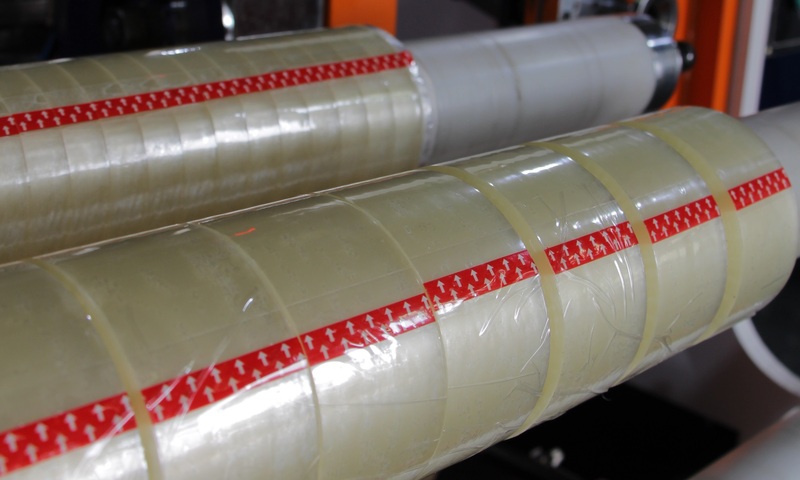 To cut the variety of tape rolls, e.g. 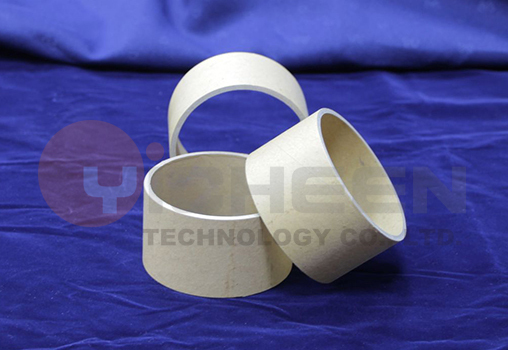 : double-sided tape, masking tape, Electrical Tape, construction tape, other kinds of tapes. Main drive part: Cutting running is driven by AC motor with inverter control. Fast and stable to speed up & down. 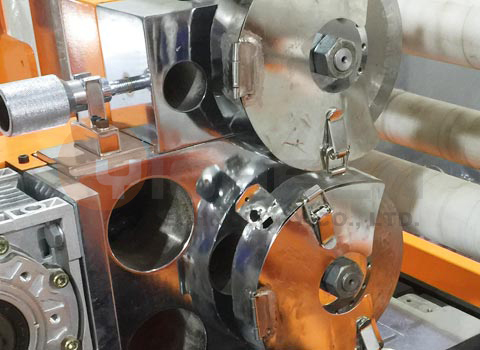 Control system unit: by PLC control system; Auto change cut size setting in the same shaft. Operation panel part: equipped with LCD touch screen; Running condition and cut size set on the screen. 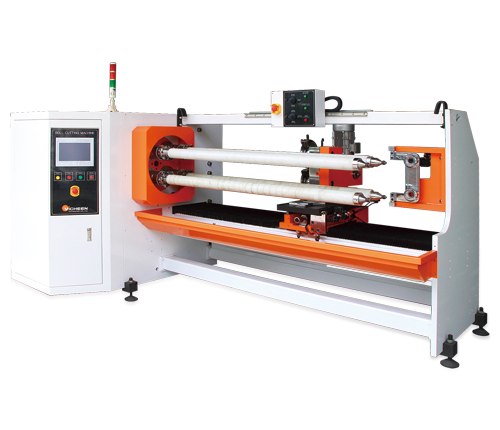 Cut roll positioning system: Controlled by servo motor with high precision ball screw and to use linear sliding for cutting precise and smooth movement. 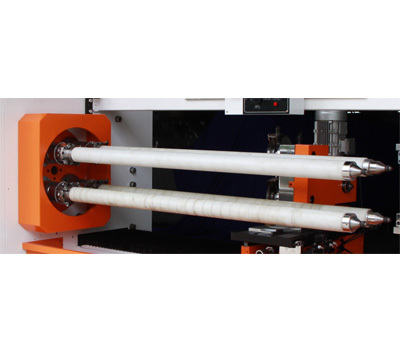 Feed positioning system: Blade feed-in controlled by servo motor; user-friendly interface for multi-stage feed-in speed setting; to Improve efficiency and quality. 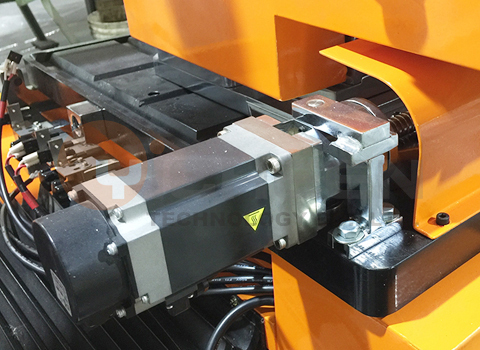 Razor angle adjustment: Razor angle rotary counted by servo motor; adapt to different angle variation in slitting different material; to reduce the frequence of razor replacement and increase production efficiency. Shaft fast changed device: Shaft fast changed by 2sfhats rotary; to adapt different material demand.